Between Thanksgiving food shopping, Christmas cards, decorations, and of course, gifts, money seems to be going as quickly as you can say “Fa, la, la”! 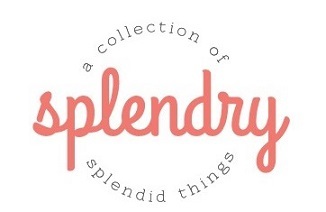 One extra expense we can cut off our lists this year? 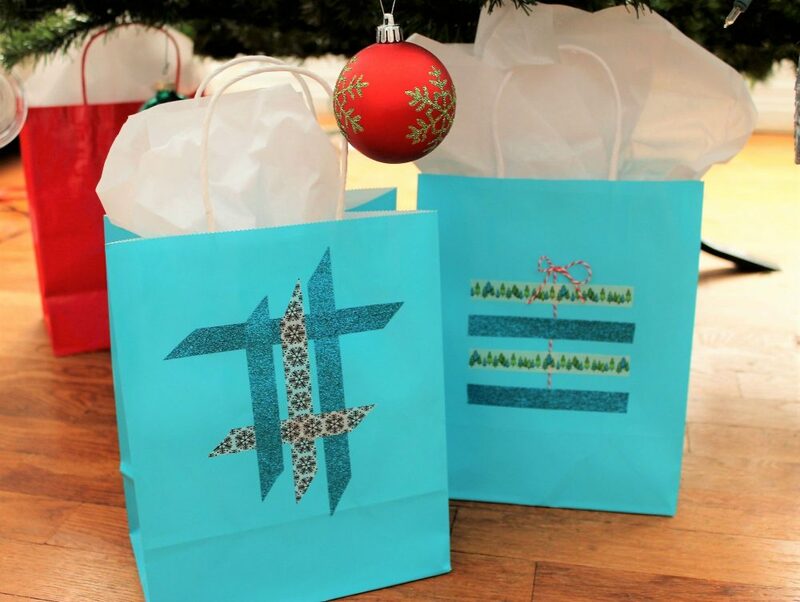 Expensive gift bags! 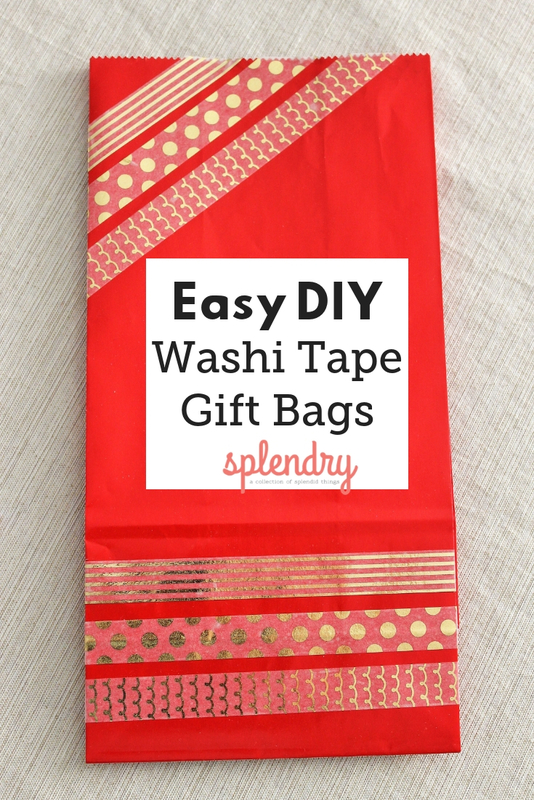 Ditch the fancy $9 gift bag and opt for your own easy, cheap, custom creations with these ideas for DIY Washi Tape Gift Bags. Not the crafty type? No talent is needed, just cut and apply! 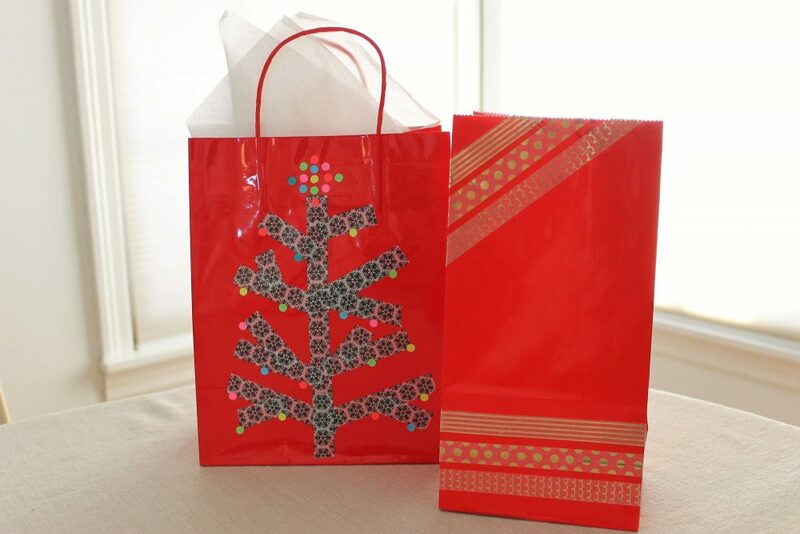 Stripes, presents, even Christmas trees, the possibilities are endless! 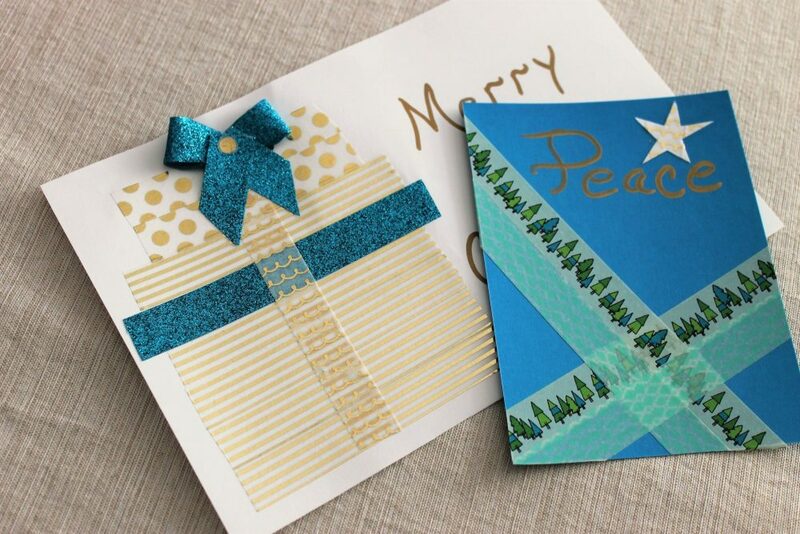 Christmas cards can get the DIY treatment too! Take pre-cut card stock pieces and decorate to your heart’s desire! 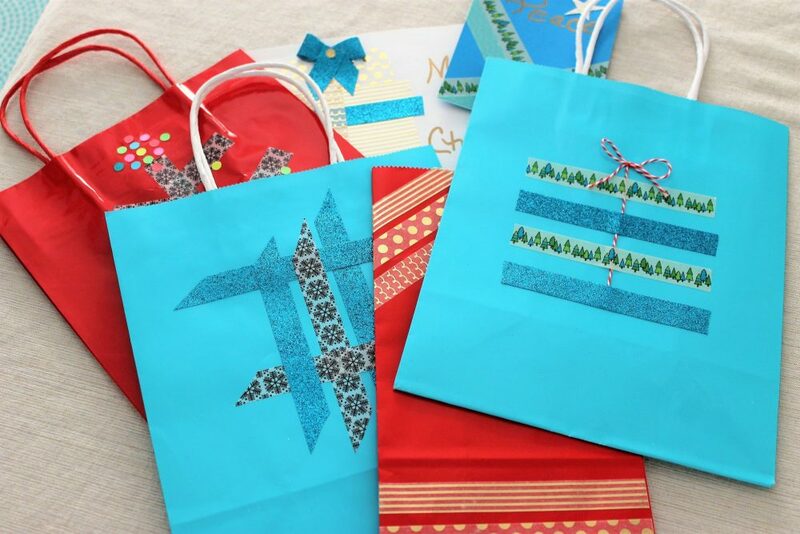 Have another favorite way to use washi tape this holiday season? Share!